We can confirm from a recent tasting organised by our friends at the Warsaw Marriott Hotel that there is a fantastic dinner menu lined up for guests at the St Andrew’s Caledonian Charity Ball which is being held on Saturday 25 November 2017. Don’t miss out – reserve your ticket now. 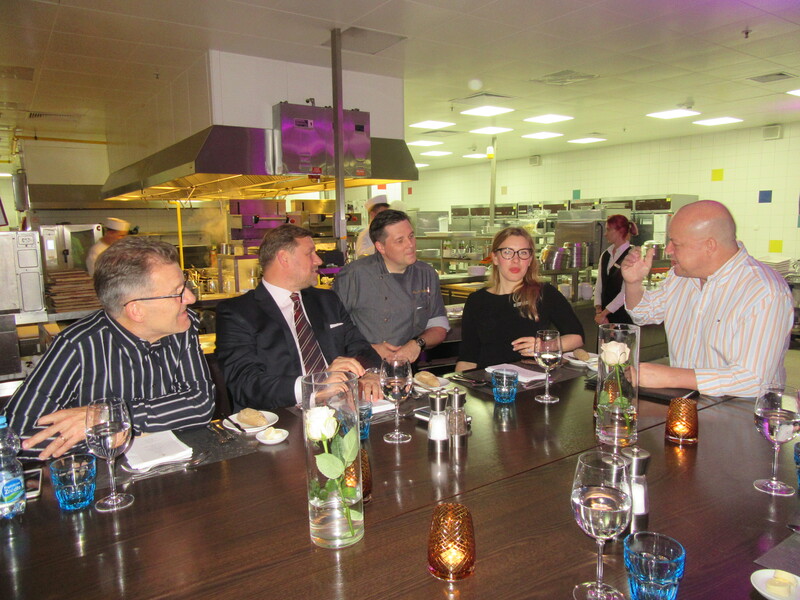 At the tasting, arranged by the Marriott’s Monika Łączynska and hosted by Executive Chef Paweł Kałuski, we had a preview of the dishes planned for the Ball and we can say without reservation that we and the guests at the Ball can expect a a taste of Scotland and a feast of goodness! The four course dinner will begin with a popular Scottish soup, followed by a starter of haggis, a choice of main courses – beef or cod – and an absolutely scrumptious dessert featuring whisky and chocolate! The dinner will be accompanied by some fine wines, and for those wanting something stronger, whisky and vodka! Again this year there will be an early bird breakfast featuring Scottish potato scones, Lorne sausage and other favourites. Don’t miss out on one of Warsaw’s best nights out – reserve your tickets now. Caledonian Ball, ceilidh, Charity Ball, Częstochowa Pipes & Drums, haggis, Scotia's Hardy Sons, Scottish Country Dancing, Scottish food, St Andrew's Ball. Bookmark. Overcome your fear… and reserve your ticket for the Ball! Complimentary offer for Charity Ball ticket holders!